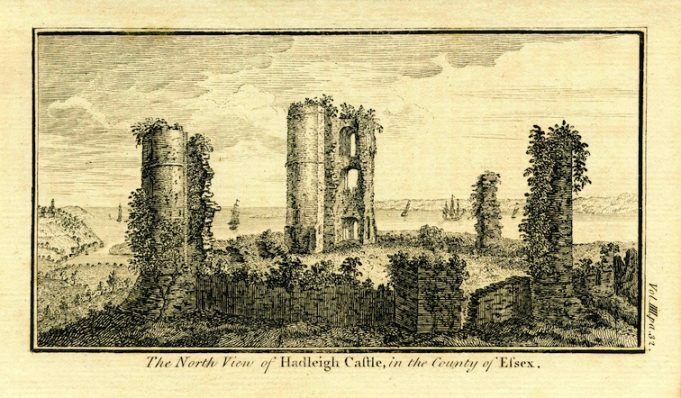 It seems that Lord Rich was not the only one making free with the fabric of Hadleigh Castle in the past, when old things or materials had a value only when they could be recycled. However, to some people, like mine hosts and coach drivers, the castle was becoming important as a venue for excursions – in charabancs…? GENERAL BOOTH AND HADLEIGH CASTLE. At a meeting of Leigh-on-Sea Parish Council on Friday Mr. Saunt moved that the Society for the Preservation of Ancient Buildings be written to, as he alleged that Hadleigh Castle had been very much trespassed upon by its owner, General Booth, who was having the walls dug out and was making roads with them. –Dr. Kirton: If this is General Booth’s private property had anyone any power to prevent him doing what he likes with it? –Mr. Saunt said the place was bought with public money. He gave 2s. 6d. towards it and he thought he had a right to a voice in the matter. [Laughter. ]–It was decided to write. A fair part of the ruins were still standing a hundred years earlier, according to this engraving of c.1790.